Home / All Posts / Announcements / RAK report – and a winner! 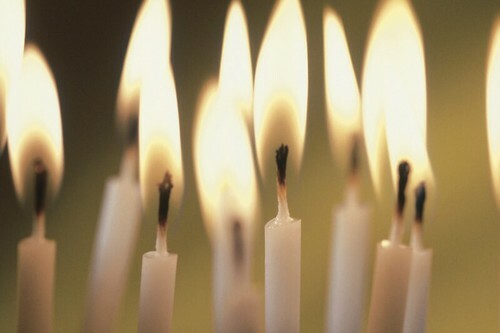 In honor of my recent birthday, I invited friends and blog readers to join me in celebrating my special day by doing Random Acts of Kindness toward others. The response was overwhelming! Not only was I blessed, but many friends and strangers received gifts of encouragement, friendship, food, and money. I loved celebrating my birthday this way! First, let me report on my own day of RAK adventures! Before I left home, I made up and printed a couple dozen small cards explaining the gift I handed out, hid, or left in plain sight. These came in handy as I zig-zagged around town, having more fun than any 58-year-old should be allowed. 1. Dollar Tree Hide-and-Seek! My first stop was the Dollar Tree, where I wrapped dollar bills around a “You’ve Been RAKed” note and hid them under items at the Dollar Tree: a bag of pinto beans, bottle of laundry detergent, a box of candy, etc. I also gave some $5 bills to random shoppers. Loved the expressions on their faces! 2. Pass It Back. Between other errands, I bought gift cards at several locations for the people in line behind me. At McD’s I ordered a $1 Diet Coke and a gift card. When I picked up my gift card at the drive-thru window, I tucked in one of my RAK cards and asked the attendant to hand it to the car behind me. At Wendy’s, I bought myself a $1 burger and repeated the gift-card fun. 3. Bake and Take. I delivered homemade brownies to two different city fire stations. As a bonus, I was greeted by an old friend from our former church, and he gave me a personal tour of the beautiful Jersey fire station. 4. Brighten a Child’s Day. I took a few minutes to write a letter to our sponsored Compassion child, Mercy. I love the option of sending her letters online. She gets them right away, and I can attach photos of the grandkids and us. 5. More Hide-and-Seek Fun! I hid a few $1 bills around Walmart. It was pretty funny watching some of the “hot spots.” Several people picked the box or can right next to the hidden dollar. Another picked up the box and didn’t even see the little treasure hiding underneath! I love that, because it reminds me of how God chose each person who was meant to find it! 6. Just Because. I handed Walmart gift cards to two random (and very surprised!) shoppers. One lucky mama got her card because I heard her little preschooler singing “Happy Birthday” two aisles away. I hurried toward that sweet voice and told her, “Thank you for singing that song. Today is my birthday!” As the little girl beamed, I handed her surprised mom the gift card. 7. Washing Away the Blues. At the laundromat, I left piles of quarters on the dryers. I haven’t been to the laundromat in a long time. Man, it’s expensive to dry a load! 8. Lift Spirits. I took a moment to compliment a store worker who was tidying up seriously messy shelves at Walmart. Her eyes absolutely lit up! 9. You’ve Got Mail. We shipped a free book to someone in dire financial need. Coincidence that we chatted with this mom on my RAK birthday? I think not! 10. It’s On Me! Taped quarters to a vending machine. I loved watching people walk by as if the coins were invisible. They were just sitting there waiting for the right person to discover them! 11. Let a Smile Be Your Umbrella! I smiled at a sad person. How easy is that? 12. Hold it! I stood at the exit and just held doors for people. And smiled. 13. I Can Use the Exercise! I parked in spots that were farther away or less convenient. Besides, I was in such a lighthearted mood that even the extra walking made me happy! 14. Gas Gift. I tried buying gas gift cards at a couple of gas stations, but they didn’t sell them in smaller denominations. I had already planned out my cash, so instead of skipping the gas station altogether, I got the idea of stuffing a RAK note and some cash in the credit-card slot at a gas station. 15. Cheer Up! I wrote a note of encouragement to a friend. 16. Look, Mom! What child doesn’t love to find money? So I went to the park and dropped some quarters under the play equipment for surprised children to discover. My daughter told me this was her favorite of all my RAKs! I’m sorry it took so long to post the winner of the RAK Birthday Giveaway. When I didn’t hear back from the first winner by the end of last week, I drew a new name. Congratulations to Lisa G! A special thanks to each one of you who not only entered the drawing, but who took time to do a Random Act of Kindness as well. The results blew me away! It was the best birthday in recent memory. Blog kudos for In Our Write Minds! You’re so welcome, Lisa. Congrats on winning the prize! Did you make those RAK cards or find them online? Something I have been doing for years is an easy way to share the Gospel, which is the ultimate RAK. I buy million dollar bill Gospel tracts from Way of the Master http://www.livingwaters.com (look under Bible tracts). It costs only $5 for 100. They look exactly like real money and have the Gospel message on the back. I keep a stash in my purse, and I pass them out to every store clerk as I go through the checkout line. Sometimes I drop them in the store and watch people’s joyful reaction to find them. In the thousands that I have handed out through the years, only 1 person has ever been averse to it. It’s a great way to do RAK every time I am out. Joyfulmomof6: I made the RAK cards on an ancient publishing program. I used one of their predesigned templates for a business card and changed up the wording and fonts. I’m not one of those super-creative-with-the-graphics person,so starting with a template was nice. I tried to save the PHP file as PDF so I could offer it as a free download, but so far, I haven’t figured out how to do that! I ran across this blog for the first time and was truly moved by all of the RAK stories. It’s so inspirational. I think what you have done is wonderful and I hope this blog spreads and inspires many others. God Bless you!